Home to the most consistent, quality waves in South Africa, Durban produces countless world class surfers. 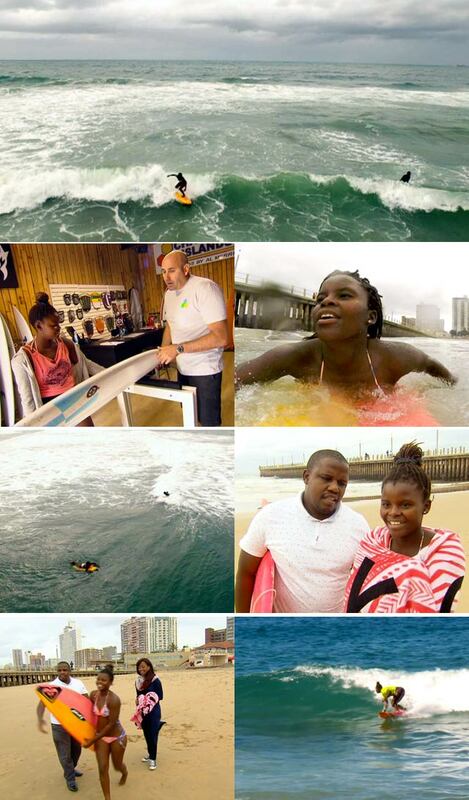 Then the mould was well and truly broken when a 16 year old Samkelisiwe Cele became the first Zulu female to compete in a World Surf Event - and this girl was born to ride. Other than being a surfing prodigy, Sam is a dutiful daughter who, when she's not catching waves, is doing homework or helping her mother with cooking and cleaning, but always with an ear out for the surf report. With all her talent and determination, Sam is making sure South Africa gets to shine amongst the competition. Catch surfer Sam Cele on Top Billing this Thursday at 7:30pm on SABC3.